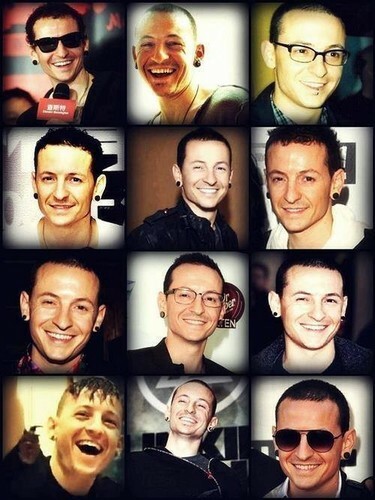 Chester Bennington. . Wallpaper and background images in the Chester Bennington club tagged: photo chester bennington linkin park fan art smile. This Chester Bennington fan art contains kính mát, kính đen, sắc thái, and kính tối màu. Nice collage. I can't decide who's smile is cuter, his or Vale's.. They're at a tie.